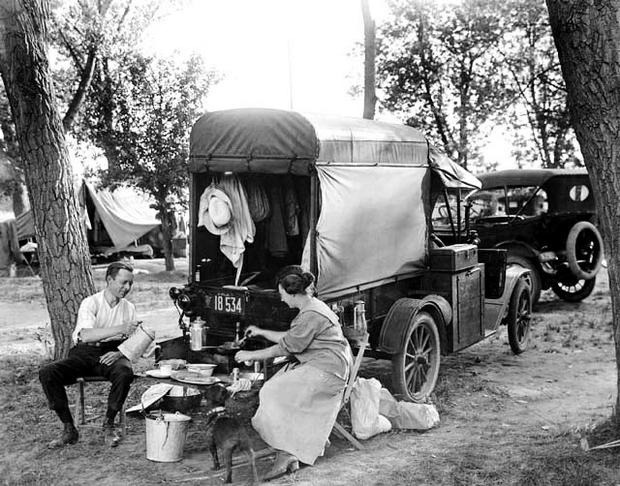 A little car camping in 1918. No attribution found. In the heady days of 1918 while the German threat was being finished off in Europe Americans began to take leisure time in a new direction. Automobiles were almost commonplace and Yankee ingenuity was applying itself to this new platform of creativity. Patents were being filed to sell improvements on the original designs while pioneer camping technology was far from lost. Money was tight for the average person and the economy was devastated world-wide encouraging frugal holidays. 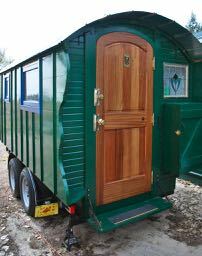 There is a little stove on the pull-out, a hurricane lamp on the side shelf, and just enough of the comforts of home under the wagon cover to make for an easy vacation.